Continuing the political shell game that is Apple manufacturing in India, a local IT minister issued a statement on Thursday welcoming the company's proposal to manufacture iPhone hardware in Bengaluru. The Indian state of Karnataka officially welcomed "Apple Inc.'s proposal to commence initial manufacturing operations in the state" in a press release signed by regional IT minister Priyank Kharge, reports Times of India. Apple's intent to manufacture in the area "will foster cutting edge technology ecosystem and supply chain development in the state, which are critical for India to compete globally," the release reads. Further, Kharge says Apple executives involved with India's iPhone operations had "positive discussions" with Karnataka government officials about manufacturing initiatives and other future collaborations. VP of iPhone operations Priya Balasubramaniam, Senior Manager Government Affairs for Middle East and India Ali Khanafer, director of iPhone operations Dheeraj Chugh and country counsel Priyesh Povanna were present at the meeting, which Apple called "constructive." Kharge punctuated today's message with a succinct tweet announcing "initial manufacturing operations" are set to begin in Karnataka's capital of Bengaluru. Local media, which consistently hypes Apple's Indian activities, has taken the comments to mean the company's iPhone manufacturing plant is a done deal, but that might not be the case. Apple declined to confirm Kharge's statements to BuzzFeed News and instead offered an old boilerplate statement. "We've been working hard to develop our operations in India and are proud to deliver the best products and services in the world to our customers here. We appreciate the constructive and open dialogue we've had with government about further expanding our local operations," Apple said. The same statement was issued to Reuters and other news outlets after last week's meeting. Apple has long been rumored to manufacture iPhone in India, an asset that would allow the company to skirt onerous import/export regulations and potentially open the door to retail operations. 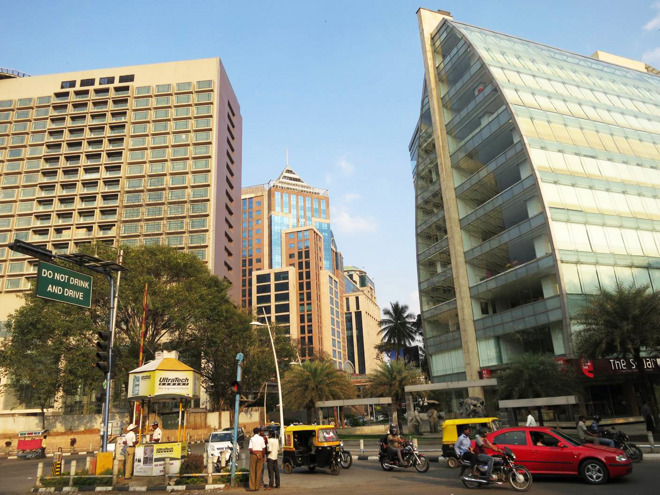 In December, Apple partner Wistron was said to be prepping an iPhone facility in Peenya, an industrial center in the city of Bengaluru, with an expected go date in April. Kharge in today's letter failed to offer a timeline to manufacture, but local reports claim production is expected to begin in June.